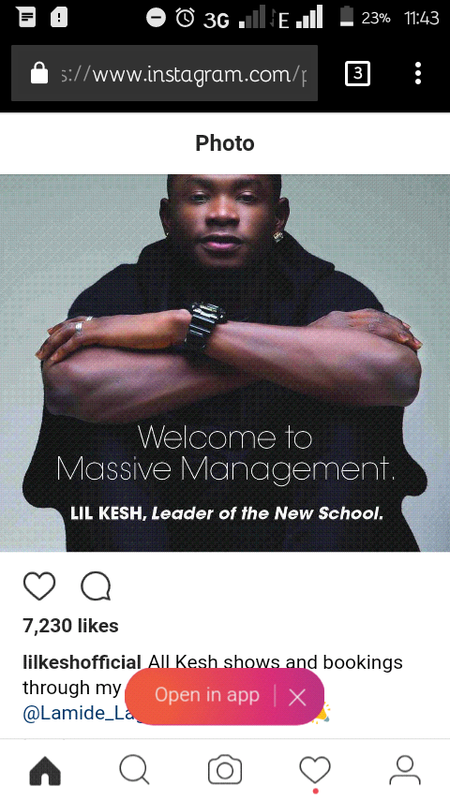 After a successful spell with Olamide's owned YBNL Records, rapper Lil Kesh floated his YAGI Records after dropping his debut album titled Y.A.G.I with YBNL still atop the managerial aspect of his career. 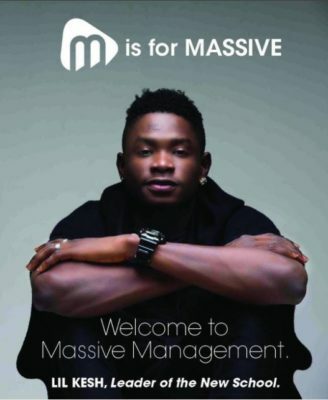 News reaching us has it that the young rapper is now with a new management team. Massive Management is now in charge of the young lad’s career.